MSD’s Keytruda has cut the risk of death by 31% in patients with esophageal or esophagogastric junction carcinoma or adenocarcinoma who progressed after standard therapy. The results, from the phase 3 KEYNOTE-181 study, pave the way for yet another indication for the anti PD-1 therapy, which has seen a flurry of new approvals over the last few years. The trial also looked at whether the drug would improve overall survival in patients with squamous cell histology and in the entire intention-to-treat (ITT) study population, but did not show statistical significance here despite being directionally favourable. Another phase III trial evaluating Keytruda (pembrolizumab) in combination with chemotherapy as a first-line treatment for esophageal cancer is ongoing. 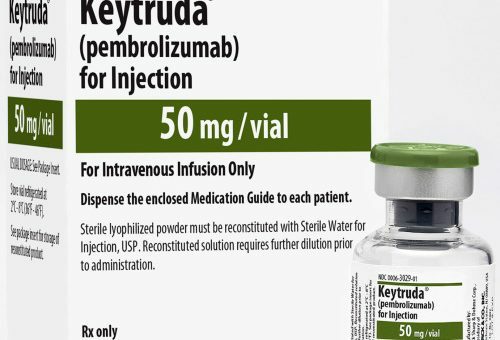 According to MSD there are currently 65 ongoing studies involving Keytruda, which include multiple settings and stages of gastrointestinal cancer – such as gastric, hepatocellular carcinoma and esophageal. “The prognosis for patients diagnosed with esophageal cancer is poor, and for those who experience disease progression, there is no established standard of care, underscoring the need for improved therapies in the second-line setting,” commented Dr Takashi Kojima, professor at the Department of Gastroenterology and Gastrointestinal Oncology at the National Cancer Center Hospital East in Kashiwa, Japan. Keytruda’s success helped propel MSD to the top of the Dow Jones index for 2018, with sales of the drug rising 150% in the first quarter, 89% in the third quarter and 80% in the third quarter on a year-on-year basis. The drug has edged out its main rival, BMS’ Opdivo (nivolumab), to become standard-of-care in the majority of untreated lung cancer cases, sometimes in combination with chemotherapy when tumours are less likely to respond. Recent new indications for the drug include hepatocellular carcinoma, the most common form of liver cancer, and as an adjuvant therapy for adults who have undergone surgery to remove melanoma, based on clinical results showing it can reduce the risk of the cancer returning.